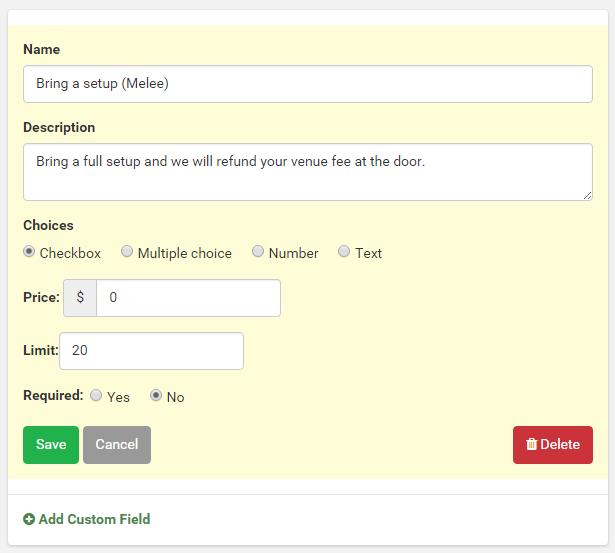 Choose the checkbox option, leave the price as zero, and set the limit to the maximum number of setups you need. Leave this as not required. 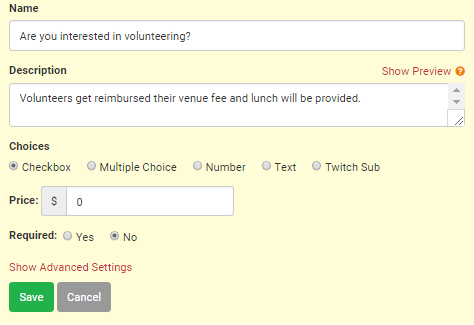 Choose the checkbox option (most optimal, but multiple choice will work as well), leave the price as zero. Would you like to order a shirt? Choose the "Multiple Choice" option. Enter in each shirt size and the cost of the shirt.This will let you take shirt orders. 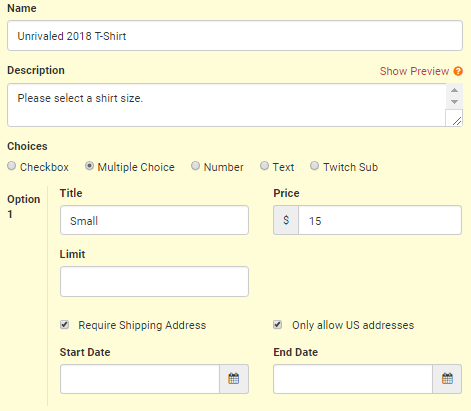 Using the attendee export you can see who has ordered and paid for it in registration to be ordered later.If you plan to ship the products you can require addresses as well.Costs here will be applied to the total at checkout. Where do I see the responses to these questions? An excel file will open with all the answers to your Registration Questions. Note: If you need to delete a custom field at any point during your registration period, the responses from that deleted field will remain on the export.